The 8 Best Haunted Attractions in Missouri! It’s that time of year again! It’s time to get your scare on. If you’re ready for some terror and fright, then Missouri is your place. From haunted hotels to frightening factories, here are the very best haunted attractions in the state! You’ll never know when or where you’ll be spooked at the Beast in Kansas City, one of the largest haunted houses in America. If you don’t get lost along the way, you should reach the four-story, straight down exit slide in about 40 minutes. Before you can even think about that scary slide, you’ll have to find your way through the darkness in the Werewolf Forest, a terrifying storm scene, and an alligator-infested swamp, all while dodging raging wolves, a deranged pirate, and a man-hunting lion. Think you’re brave enough for the Dead Factory? This place has been voted one of Missouri’s must-see haunts. At the Dead Factory, you’ll enter the mind of a crazy scientist and experience this attraction from the point-of-view as one of his victims. With over 8,000 square-feet of insanity, it takes an average of 30 minutes to walk through this haunted complex of dark mazes. This haunted spot is one of the best in Missouri. The Factory of Horror in Berger is so scary that it’s recommended for folks age 13 and up and no one under the age of seven will even be admitted. Filled with a terrifying team of live actors and scary scenes, the Factory of Horror is located in an old factory building that was built back in 1939. This terrifying attraction has been scaring Springfield for generations. The Hotel of Terror was established on Halloween back in 1978, at a time when it wasn’t safe for kids to go trick-or-treating. After being scared senseless by someone (or something) around every corner, you’ll safely escape the Hotel of Terror down a 96-foot slide. Your childhood memories will haunt you when you visit Purgatory in Mansfield, Missouri! While children are welcome, it’s likely they’ll be overcome with fear. Closed-toed shoes are strongly recommended as it’s quite a long walk through Purgatory. Think you’re lucky enough to check out of the haunted Myer’s Inn in Carthage? You’ll experience pure terror when you come face to face with restless souls and hear the screams of other visitors while you wander through this 12,000-square-foot hotel. You’ll have a terrifying and suspenseful experience at this haunted house just outside of St. Louis. 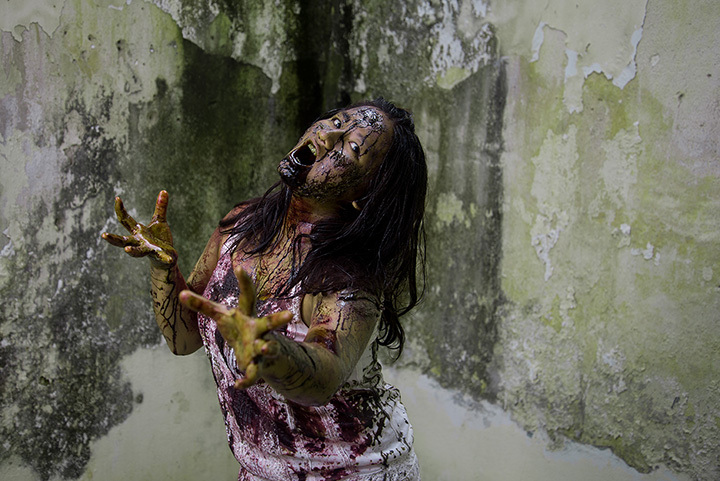 Phobius Haunted House will mess with all of your senses as it takes you through different scenes of terror. Get ready to SCREAM at the Darkness Haunted House in downtown Saint Louis! One of the best haunted attractions in America, the Darkness features five frightening attractions including zombie laser tag, Terror Visions 3D, outdoor scare zones, and St. Louis Escape Rooms.